Size : 21.0 x 22.5 mm. Weight : 4.62 grams. 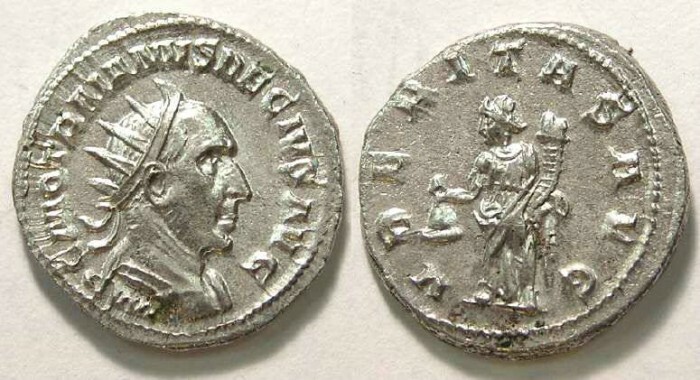 Reverse : Uberitas standing left holding a purse and cornucopiae, with VBERITAS AVG around.